Handwheel for the Z-Axis feed. 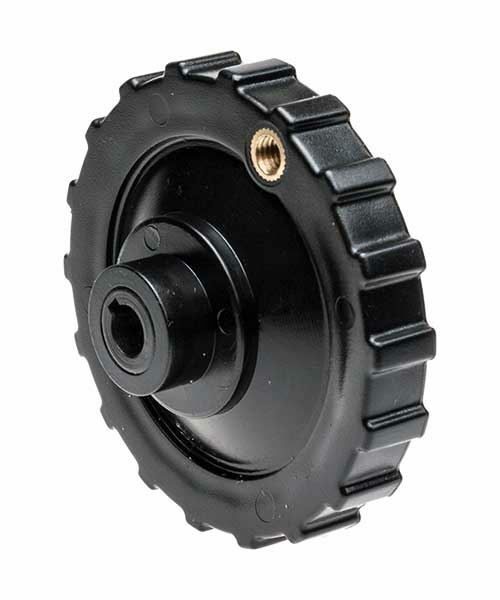 The steel centre has an 8mm bore with a 3mm wide keyway. Note: There is no provision on this handwheel for a dial.